One of the World's Best Known Puzzles The Fifteen Puzzle is a classic numerical nightmare, originally introduced in 1880. We've re-created it in smooth, polished metal and decorative enamel. 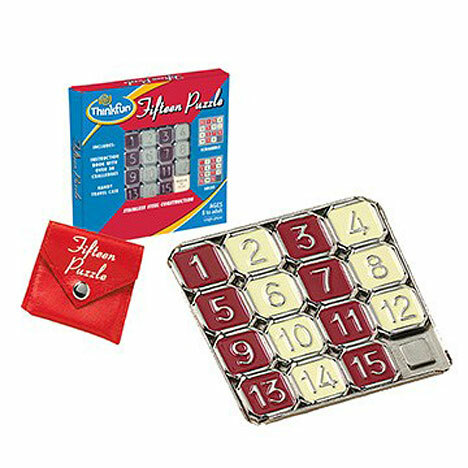 To play, scramble the 15 numbered tiles in the tray, then try to slide them into correct numerical order.